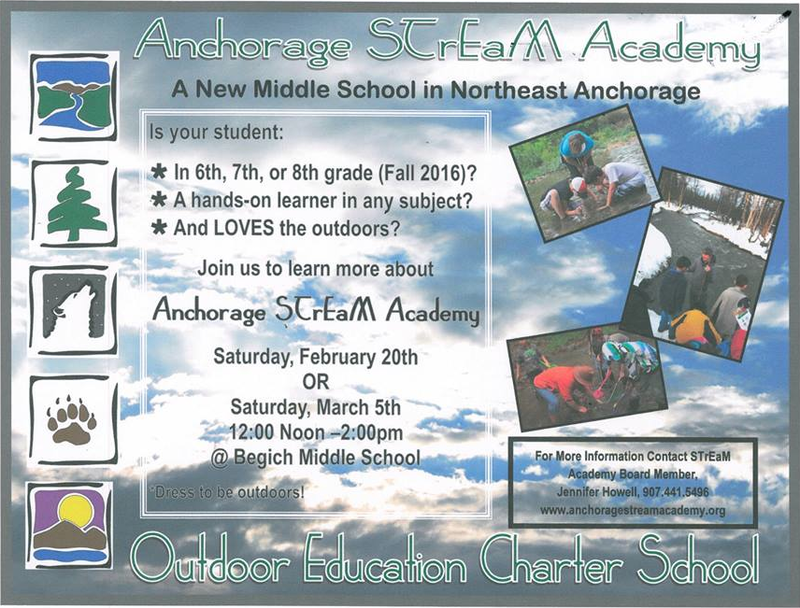 Learn more about Anchorage STrEaM Academy Outdoor Education Charter School for 6th, 7th and 8th graders – noon-2 p.m. Saturday, March 5th, at Begich Middle School, 7440 Creekside Center Drive. 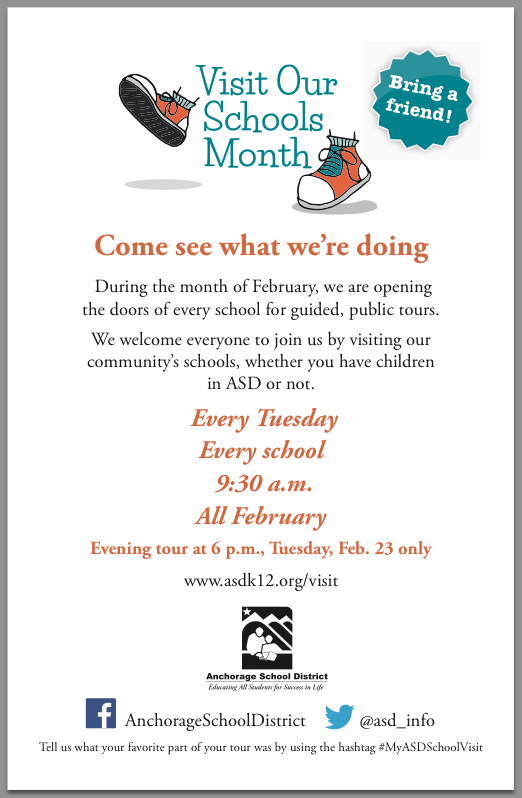 Admissions lottery closes March 24, 2016. 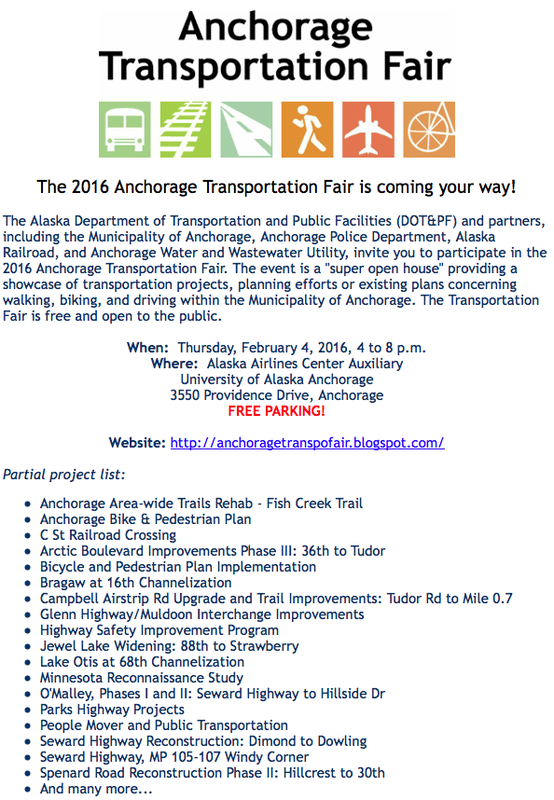 Opening August 2016 at Wayland Baptist University, 7801 East 32nd Avenue, Anchorage. Scenic Foothills Community Council (SFCC) will meet at 7 p.m. Thursday, March 3, in the auditorium at Wayland Baptist University, 7801 East 32nd Avenue. Access via Old Muldoon Road off 36th Avenue, west of Muldoon Road. Anchorage Assembly & School Board Candidates Forum; ballot propositions, including Road Bonds, Park Bonds, School Bonds and marijuana retail sales tax to be voted on in April 5 elections. We have plenty of room and everyone is welcome. Playground equipment for Muldoon Town Square is included in the Parks Bond.